Dr. Trent Douglas and Dr. Katerina Gallus discuss breast augmentation basics including implant selection, choice of incisions, and implant pocket location. 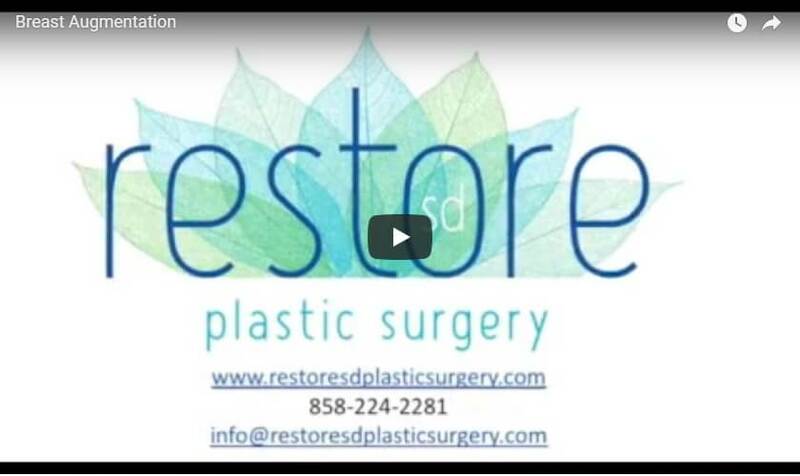 Hello, I’m Dr. Trent Douglas with Restore SD Plastic Surgery and I’m joined today by my partner… Today we’re going to talk about the fundamentals of breast augmentation surgery. The first decision point is deciding whether you want silicone gel or saline filled implants. Once you’ve decided on the type of implant, it is important to discuss and partner with your surgeon on the implant size and shape. After those decisions have been made, the next point is deciding about pocket location and the incision. The incision we frequently use here at Restore SD is the inframammary crease incision, at the base of the breast. The pocket we choose is usually the dual plane pocket, which is partially submuscular. Some patients are candidates for putting the implant above the muscle in a subglandular position. With this many key decision points to consider, it’s important that you seek a Board Certified Plastic Surgeon with an area of expertise in breast surgery, like Dr. Douglas and Dr. Gallus at Restore SD Plastic Surgery. Also ensure that your surgery is being performed at an accredited facility.